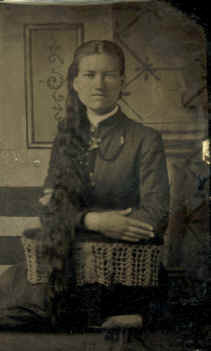 Amanda E. C. Culpepper married Sam Walker on 30 Dec 1887 in Clarke Co., Alabama. 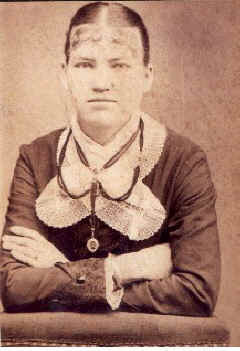 Amanda E. C. Culpepper married Sam Walker on 30 Dec 1886 in Clarke Co., Alabama. Clarke Co. Heritage Book Committee, compiler, The Heritage of Clarke County, Alabama, Clanton, Alabama: Heritage Publishing Consultants, 2001, Repository: LDS Family History Library - Salt Lake City, Call No. US/CAN Book 976.1245 H2h. "William Perry Leslie Steele", p. 311. + William Perry Lesly Steele, 24 Sep 1867 - 28 Jun 1946. "Lower Peach Tree Cemetery", Deep South Genealogical Quarterly, Vol. 34, No. 4, November 1997. + E. A. Culpepper, 31 Oct 1849 - 22 Oct 1912 (Born near Lower Peach Tree, Wilcox Co., AL). Ernest Culpepper, 1, M, AL. Martha A. Culpepper, 2, F, AL. E. Culpepper, 20, M, Wh, Student, AL. Ashbell Powers, Other, M, S, W, 7, Orphan, AL/AL/AL. + Erasmus Culpepper, 1 Mar 1817 - 3 Aug 1880 (Born in Nash Co., NC and died at Lower Peach Tree, Wilcox Co., AL). 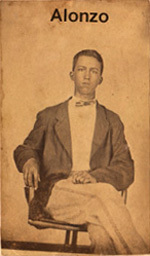 E. Culpepper, "Died recently near Camden (Wilcox Co.), Alabama". Published 20 Aug 1880, Vol. 3, page 674. 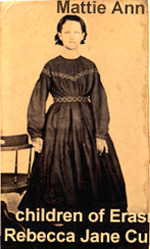 Rebeca Culpepper, Mother, Wh, F, Jul 1823, 75, wid, NC/NC/NC. + Rebecca J. Culpepper, 1 Jul 1823 - 5 Mar 1905 (Wife of Erasmus. Born in Warren Co., NC and died at Lower Peach Tree, Wilcox Co., AL). Earnest A. Culpepper, Head, M, Wh, 60, Sng, AL/NC/NC, Farmer. Ernest A. Culpepper died 22 Oct 1912 in Wilcox Co., Alabama. + Alonzo Culpepper 22 Mar 1852 - 20 Apr 1883 (Born near Lower Peach Tree, Wilcox Co., AL. Died while attending the A.M. Med. College in St. Louis, MO). + J. E. Culpepper, 22 Apr 1854 - 23 Dec 1879. Lela Culpepper, 4, F, W, AL. Biography* � Rosaline Adel Culpepper married William Monroe McGee at the Methodist Church, Hopkinsville, Kentucky. She was a nurse in the mental hospital in Hopkinsville. They had one son, Culpepper McGee, who married Bess Hopper of Nashville, TN. 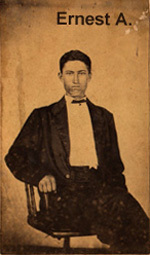 Jordan Dodd, compiler, Kentucky Marriages, 1851-1900, Online database at Ancestry.com, 2001. Rosaline A. Culpepper and William M. McGee, 23 Dec 1895, Christian Co., KY.
+ Mattie A. Culpepper, 22 Oct 1858 - 5 Dec 1892. 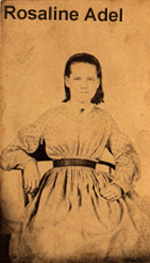 + Mary Frances Foy, 25 Jul 1828 - 30 May 1895. S. G. Culpepper and S. E. Foy on 21 Nov 1878 in Thomas Co., GA, Book I-309. Mary F. Culpeper, Dau, S, Female, W, 6M, GA/GA/GA. John G. Culpepper, Cert 57071, Orange Co., FL, White, 06 Apr 1883 - 29 Aug 1974. After the reunion today, I drove back up to St. Louis to spend the nightbefore my flight back to Atlanta Sunday morning. I remembered that in the Places section of Culpepper Connections, I had posted info on a Culpepper's Restaurant in St. Louis. With a little time on my hands, I decided to go to Culpepper's for dinner tonight. I asked my waitress if she knew anything about the owners. My question was aimed at further improving our Missouri Culpepper info. She said she knew nothing other than the owners were a group of businessmen, that they had several locations in St. Louis, and the chain had been around for a long time. As I was eating a delicious Chicken Rueben sandwich and sipping a beer, she came back to me smiling with a framed newspaper clipping. Written in 1971, the clipping described the founding and early days of this well-known and popular St. Louis institution. But then my heart fell as I saw that the restaurant was not founded by a Culpepper, but by someone named Foy Culpepper Waldron in 1935. I mentioned to my waitress my disappointment, but she astutely pointed out that perhaps Foy Culpepper Waldron's mother was a Culpepper. I agreed to the possibility and started thinking about all the Missouri names I had seen in the last couple of days. But I struck out. There were no Foys and no Waldrons. But the food and beer were good, so I ordered another cold one and pondered this a bit further. I thought of the irony that my great-grandfather's first wife was named Susie Elizabeth Foy. But they were Georgia and Florida Culpeppers. Then, out of the blue, I recalled that one of the daughters of my great-grandfather was named Mary Foy Culpepper (born 1879) and she married Roman Simeon Waldron (in 1898). Voila! 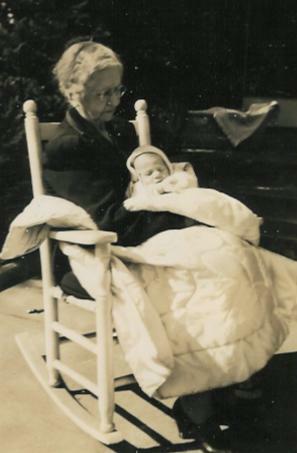 While I personally knew nothing about my Great Aunt, Mary Foy Culpepper Waldron, or her descendants, I checked our web site records tonight, and sure enough, she died in St. Louis in 1949. So the founder of Culpepper's in St. Louis (Foy Culpepper Waldron) had to have been her son, and that makes him my first cousin, once removed. Of course, since he's long deceased and his family is no longer involved with the restaurant, that's no big deal other than the fact that I wasn't even thinking about discovering such a close relative when I walked in. Genealogical searches can lead to interesting surprises. As a closing note, all of us Culpeppers can take a little pride that he chose to name the restaurant, not after his own name, but after that of his mother: a Culpepper. Thomas Co., GA Letters of Guardianship, Book J-160. 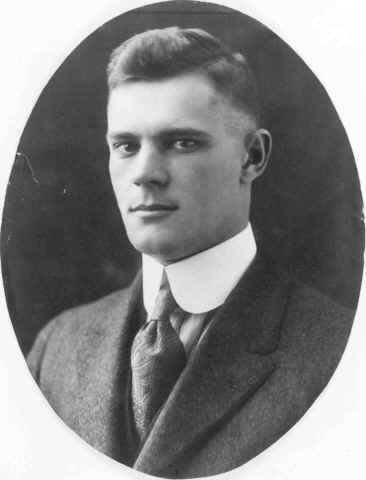 Foy Culpepper Waldron Hale, 1 Dec 1880 – 20 Nov 1949. Roman Simeon Waldron, 11 May 1871 – 24 Mar 1928. Hamilton County Clerk, compiler, General Index to Marriages and Estates, 1878-1922, Hamilton Co., FL, Repository: LDS Family History Library - Salt Lake City, Call No. Film 1,015,478 #1. LDS film 1,204,581: From the Times Union, Jacksonville, FL, 12 Jul 1908. John Culpepper, Son, M, 19, Sng, FL/FL/FL, Deliveryman/Bakery. Birth Date: 6 Apr 1883 ; Birth Place: relative lives Dallas TX. John Culpepper, Boarder, M, W, 35, S, SC/SC/SC, Laborer at sawmill. S. G. Culpepper sells for $100, a 1 acre lot (in Sec 12, T.2 S.R. 15-E) to Clara B. Culpepper. Lot bounded by lots owned by Denure and John Quincy. Witnessed by W. G. Cate and G. S. Mobley. Sterling Culpepper and Clara B. Sims, Guadalupe Co., TX, 11 Jun 1889. Volunteer Compilers, compiler, Alachua County, Florida Deeds, 1826-1914, Alachua County Clerk of the Court, Jan 2005. County Clerk, Hamilton Co. FL, Deed Book, , Repository: LDS Family History Library - Salt Lake City, Call No. Film 1,940,621. Book P, Pages 338 and 346. Find A Grave Memorial# 72212343. Charles Culpepper, b. 22 Oct 1886, White, Thomasville GA, Calhoun Co., FL. Inez Virginia Stow, Daughter, Wh, F, 9, Sng, WA/WA/WI. Per California Death Records on Rootsweb. Form and place of burial from death certificate. E-mail written 2000 to Warren L. Culpepper from Steven Edward Culpepper (#9796), (deceased 2008). Birthplace in GA, not FL where her younger siblings were born, is based on census. Living with husband, John Law, in the boarding house run by her mother, Clara Culpepper. Sarah J. Dortch, 1, F, TN. Babe Culpepper, 1, F, TN. FHL Film 1255244, National Archives Film T9-1244, District 9, Page 499B. Obituary* � Uncle Joe Culpepper, father of J.A. 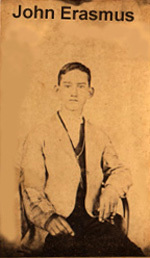 and L. C. Culpepper, died at his home four miles west of Montier, with Bright's Disease at 5 o'clock P.M., Sept. 9, 1899. Mr. Culpepper was born in Henry Co., TN in 1824. He moved to Shannon Co. in 1892 and settled on the farm where he died. From the files of Genevieve. Kile, Box 132, Van Buren, MO 63965.